The aim of this research was to explore how visitors experience an exhibition stand and create guidelines for a professional looking exhibition stand. This study shows that different elements should be taken into account based on the goal of the exhibition. When creating a formal exhibition it is important to avoid a messy or abundant exhibition. When creating a professional exhibition this is often also perceived as attractive and has a positive influence on how the exhibition is experienced as formal. This however, does not imply that the exhibition tells a story as well. This study shows that adding a context poster or a video can contribute to the construct storytelling. Furthermore it can be concluded that most attributes do not have an immediate effect on the different constructs. 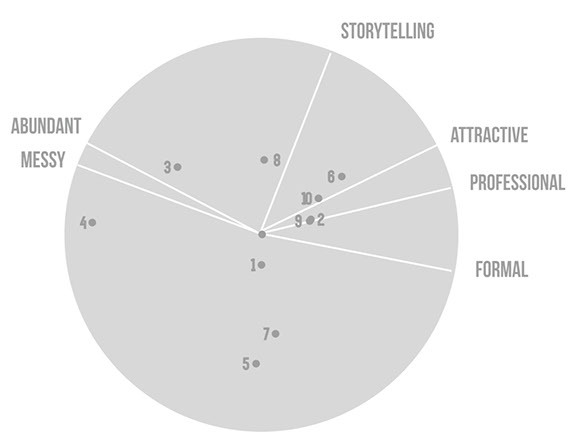 Rather the combination of attributes contribute to an experience. Project in collaboration with Emma Dhaeze and Caro Heesakkers.